What is a happy box? You've never heard of that? Perhaps, because happy box, also known as fukubukuro, exists only in Japan. Fukubukuro means "Lucky-bag" or "Happy-box" which contains fancy, fashionable, luxurious and expensive items, that are sold at an exceptional discounted price at Japanese department stores and retail shops in order to attract customers for this special New Year's Day sale on the 1st of January every year. Because happy boxes are prepared only in a limited quantities, customers line up for hours in anticipation of the department stores opening at the beginning of the year, making it a popular Japanese seasonal tradition. The trendy Japanese teen girl fashion brand, Olive des Olive, has finally arrived in Malaysia. Based in Tokyo, debuted in 1984, the founders have the vision of designing Kawaii casual style of clothes for girls. If you are into classy Japanese fashion, then you will adore them. If you are a Japanese expat living in Malaysia, then you WILL definitely like this! Believe it or not, happy box is now available on Japan Premium Official Online Store! 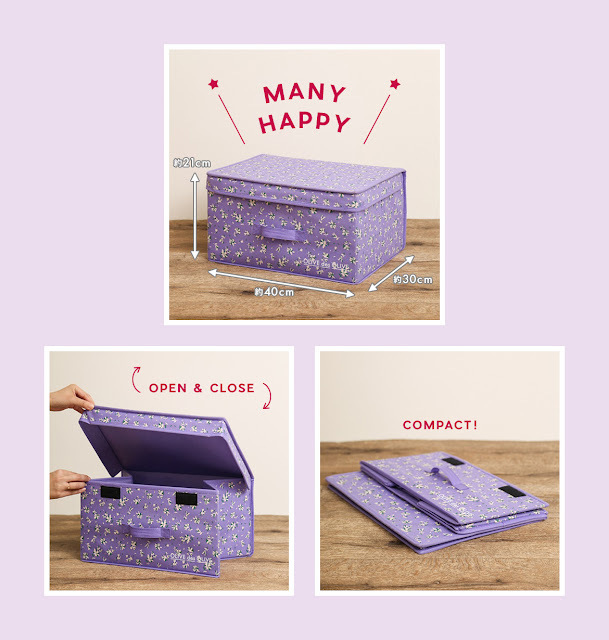 In conjunction with the first Olive des Olive launch in Malaysia, Olive des Olive Happy Box 2018 comes with a floral box which is perfect for storage of clothes! 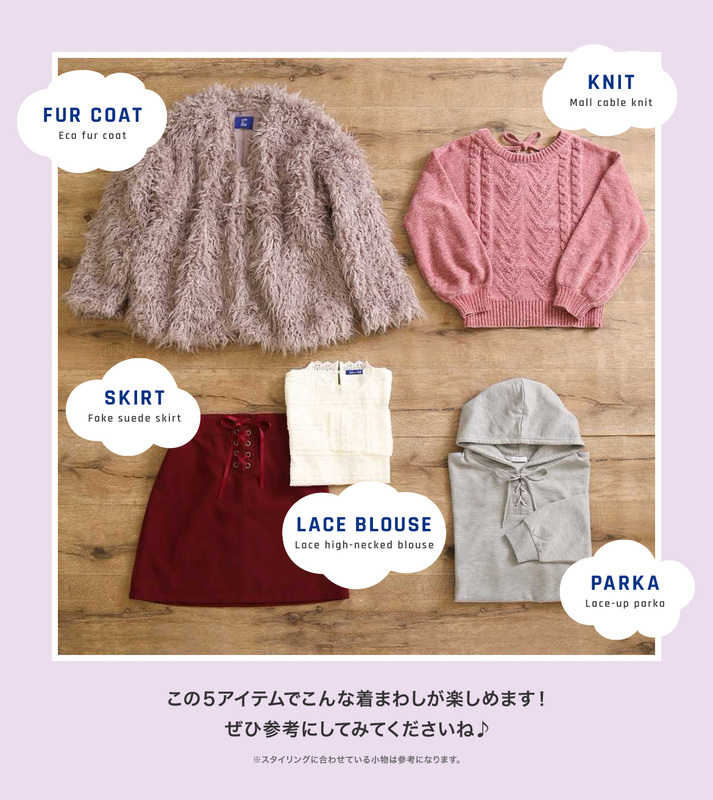 There are 5 items: a Fur Coat, a Suede Skirt, a Lace High-necked Blouse, a Mall Cable Knit and a Lace-up Parka (worth approximately 25,000 yen / RM 900) in this flawlessly coordinated happy box. Therefore, you can mix and match these stylish pieces to your own liking. With fur coat being the latest trend in this season, you will definitely find yourself wearing it over and over again! For a feminine look, you can match the mall cable knit with the suede skirt. On the other hand, the combination of lace-up parka and suede skirt will be perfect for a casual day out. Lace blouse can be worn as the inner layer for all styles. Also, notice that the skirt is a double-front skirt which can be worn with either the zipper or ribbon as the front! Superb! As there is no escaping the tradition of wearing red during Chinese new year, why not choose to look great in red with this Olive des Olive Happy Box? There are only limited quantity of Olive des Olive Happy Box available, so be sure to grab one before it runs out!